Santanyí borders on the municipal areas of ses Salines, Campos and Felanitx. The region of Santanyí enjoys plenty of daily sunshine, with 10 hours in average in spring, 8 hours in autumn and 7 hours of sun per day in winter. In summer months, you can expect to take pleasure of 13 hours of sunshine per day, for a few hours more than in some other regions. Santanyí sees a Mediterranean climate with warm and dry summers and mild winters. The average maximum temperature is 28-29°C and the average minimum is 7-8°C. The wettest month is November when there are 12.4 days of rain. The driest month is typically July with 1.9 of rainy days. The predominant winds in the region are the northern Tramuntana winds. The windiest month in Santanyí is March with the maximum wind speed of 27kmh and 10kmh of the average speed. October is the least windy month with the maximum wind speed of 24kmh and 8kmh of the average speed. The warmest sea water temperatures are observed in August when they reach 26°C and lowest from January to March when they drop at 15°C. The best months for swimming in the sea are from June to October when the average sea temperature is above 21°C. Tucked away in the heart of a rural southeastern part of the island, the municipality of Santanyí enjoys a quiet location. 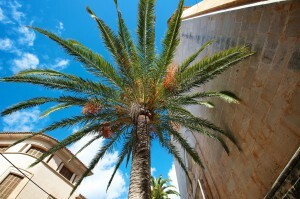 It is rather isolated from all kinds of hustle and bustle that is found elsewhere in Mallorca. Combined with the serene and welcoming atmosphere and some nice places for a relaxing break, Santanyí boasts a special quality. As consistent with the authentic surroundings of this corner of the island, properties in the area mostly include traditional fincas. In Santanyí’s centre, you’ll also find beautifully restored golden-stone townhouses, whilst the coastline locations offer apartments and luxury villas for sale. Prices on Santanyi property market differ significantly in comparison to Mallorca overall. In case of apartments in south eastern Mallorca, the average price is lower at around Average price per sqm. in South-Eastern Mallorca €2,901 -3% properties#: 315 last change on: 19 Apr 2019 €2,901 per square meter. On the other hand, the average price for a house hovers around Average price per sqm. in South-Eastern Mallorca €4,113 0% properties#: 1135 last change on: 19 Apr 2019 €4,113 per square meter. If you’re interested in investment opportunities, you can find some for Average price per sqm. in South-Eastern Mallorca €2,980 0% properties#: 107 last change on: 19 Apr 2019 €2,980 per square meter on average. The most established real estate agencies on Santanyi property market are Immo Cala d’Or, Balearic Properties and Investa, offering the highest amount of listings. Attractive surrounding countryside, plenty of sunshine, close proximity to Palma makes Santanyí a very sought-after location among international property buyers. A significant percentage of Santanyí’s 11,636 population (as of 2014) are expats, giving the area the cosmopolitan vibe and wealth to the economy. Northern Europeans discovered this region some time ago and since then it is very popular for spending holiday or year-round living, especially among German nationals. The region’s economy is mainly based on the tourism industry which has replaced agriculture and fishing. Due to the arrival of visitors in the 50s, a number of residential areas were developed in the municipality and its coastal villages. There is also an important industry based on the extraction of Santanyí limestone which is very appreciated in Mallorca. The old gate that is seen at the entrance to the municipal town of Santanyí is a good example of its stone. The town also offers a lively social scene with some good bars, cafés, restaurants and shops, as well as the extensive market on Wednesdays and Saturdays. Interestingly, its name is originated from the Latin phrase ”Sancti Agnini” meaning ”Saint Lamb”, the sign which is seen in the parish church and coat of arms. Santanyí is also a home to a myriad of ancient buildings and remains of artefacts that evidence about rich and diverse past. Here you’ll find over 150 archaeological sites including talayotic caves and villages indicating the settlements by pre-historic civilisations. Besides it, the municipality also includes three inland towns of Es Llombards, s’Alqueria Blanca and Calonge. Sea and sun enthusiasts will be sure to admire some of the best pristine beaches and calas of the region which compose an emblematic and typical landscape of Eastern Majorca. 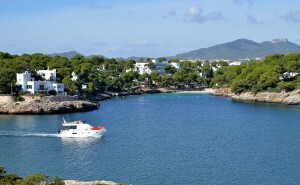 The municipal borders of Santanyí contain some 40 kilometres of coastline, with numerous coves where modern resorts have been built, such as Cala d’Or, Porto Petro, Cala Figuera and Cala Santanyí. White sand beaches with crystal clear water, the magnificent cliffs and inland areas present an incredible interest throughout the whole year. Mondragó Nature Park encompasses a variety of ecosystems including unspoilt coastline, white sand coves and pine forests. The huge natural area has become one of the main visitors’ destination of Santanyí. 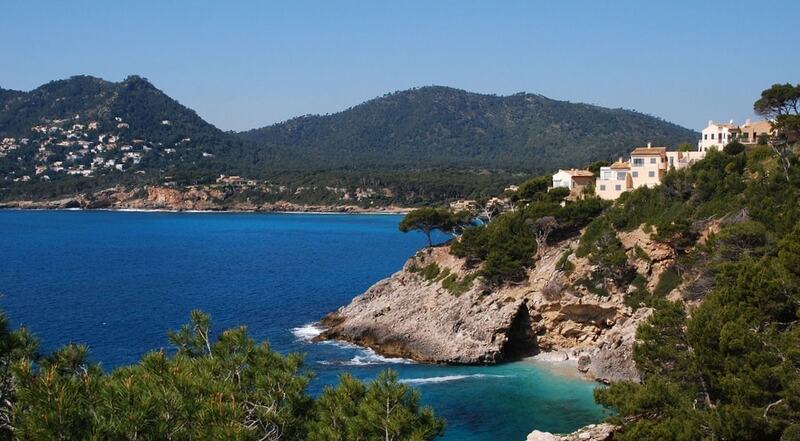 Notably, the most southern point of Mallorca of Cap de ses Salines is also located in Satanyí. With such an outstanding surrounding landscape and nature, you will easily be able to plan days with multiple outdoor activities. Here you can indulge in golf playing, hiking, cycling, sailing and much more. The region also has several vineyards which you can visit by appointment. For example, the Son Alegre wine cellar offers organic wine tasting and tours. This is one of a number of bodegas in Mallorca cultivating wines under strict ecological conditions. This way, the municipality of Santanyí is a perfect holiday and second destination to enjoy rural Mallorquin authenticity at its best.